"How Insight Empowers Salespeople to Sell More"
Customer Stratification provides the insights needed for top-performing salespeople to be more successful by building more productive, cohesive and profitable sales organizations. By focusing sales time and attention in a more knowledgeable manner, Customer Stratification will drive more sustainable and profitable growth.The challenge is to gain insight from the data on hand and apply it to the art of selling. 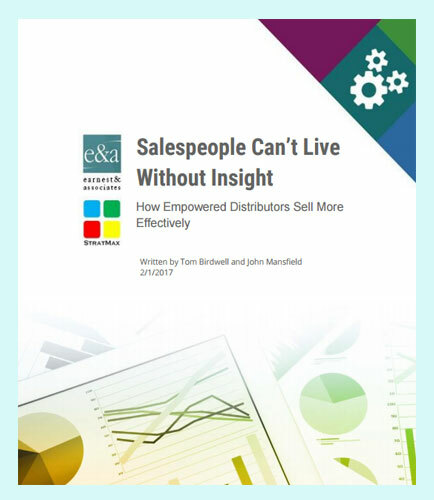 This whitepaper shares three ways that distributors can leverage the insights gained from Customer Stratification to sell more effectively.